*Also Note: Brick liners and Arched Decorative Louvers are not included with this unit. 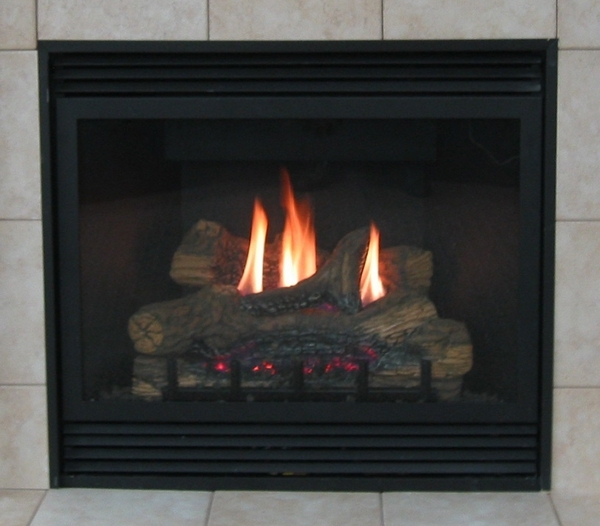 Create a cozy, warm environment in your home with the Empire DVD32FP70N Tahoe Deluxe Direct Vent Fireplace. This deluxe fireplace includes special features that create a wood fire experience without the cleanup. Its intermittent-pilot saves energy because it is not continuously lit. Look through the heat-resistant, tempered-glass window and you will see realistic-looking glowing embers and lava rock. With a heat output of 18,000 BTUs, this 32-inch unit will keep users toasty. The direct vent system is intended to be installed as a wall mount and will draw fresh air in from outdoors. Pamper yourself with this deluxe fireplace from Empire!